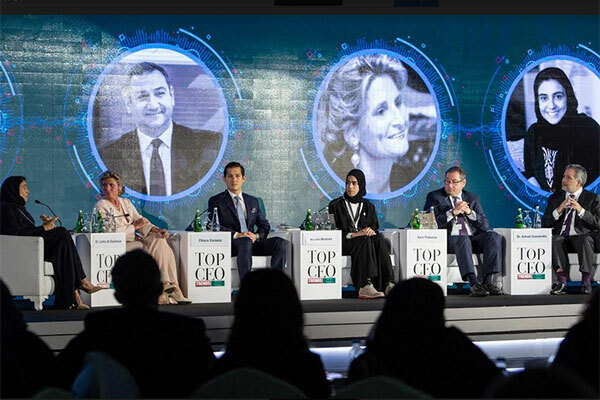 Saudi Arabia is hosting the Arab Women Forum as part of the fourth edition of the Top CEO Conference and Awards, which kicked off yesterday (April 10) and will conclude today at King Abdullah Economic City. On the first day of the forum, an elite gathering of top female executives, decision makers, professionals, and experts on women empowerment and business leadership gathered at key sessions including ‘The Economic Revolution’, ‘Entrepreneurs’ and ‘The Community-Based New Economy’, among many others. Julien Hawari, co-CEO of Mediaquest, the company behind the Arab Women Forum, said: “This is an exciting and transformational time for women working in the Middle East, and the ultimate goal of our new forum is to enhance and support the growing contribution of Arab women to drive the region’s ongoing economic and social development. With credit representing the key constraint to female entrepreneurship in the Arab region and 39 per cent of Arab firms reporting difficulties in this area, the ‘Entrepreneurs’ session explored the venture capital and investment situation, and debated whether women-led projects should be fast tracked to empower businesswomen.